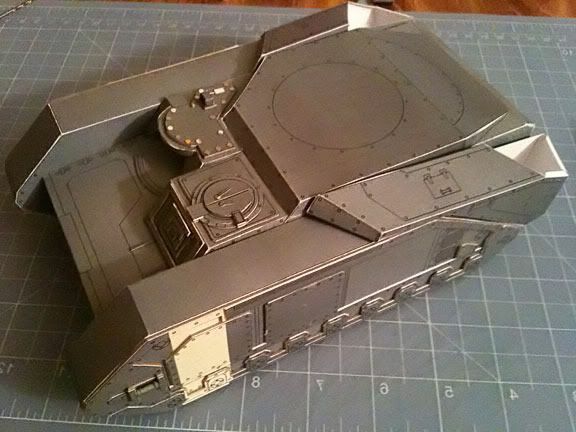 I've not been working on paper miniatures... but Paper tanks. 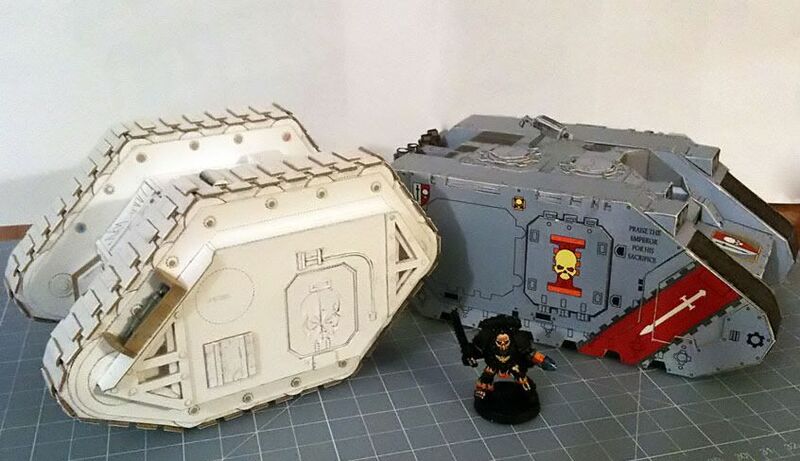 Scratch building and assembling vehicles and hardware for the WH40k genre. The Mk1 era Raider is going to be be for a small fast attack squad of Renegade Space Marines from the Sons of Malice chapter. Probably a 10 man squad with older style models and 2 (1st edition attack bikes). I love these guys because they hate both Chaos and False Emperor marines alike! I don't know why I build the old version...it will probably end up getting painted up for an Emperors Children squad or possibly Sons of Malice. I am gonna do the new style Predaqtor for my Ultra Marines... as well as the new style Land Raider. Marcyrius HT in progress - template from Pataroch. For my Mordian Imperial Guard and to accompany my old Armorcast Baneblade and 2 Lemans on loan from the Cadians in the sector. If anyone is interested in seeing the build logs stop by Zealot.com or Paperhammer40k.com. Thanks for the heads up. I'll enjoy following your progress on these. While I'm nostalgic for the original Land Raider, the new one looks like a real war machine. I WANT these! Where can I get them? I can find various versions of the Rhino, but these kick serious...! It took me a while to hunt down the landraider mark I, it's in the yahoo groups BWC archive (BWC one has some extra notes) and available in this bundle. A word of caution these are not simple models, your looking at a 50+ part count on some of them and then they can require painting, Floyd does an excellent job assembling them:).